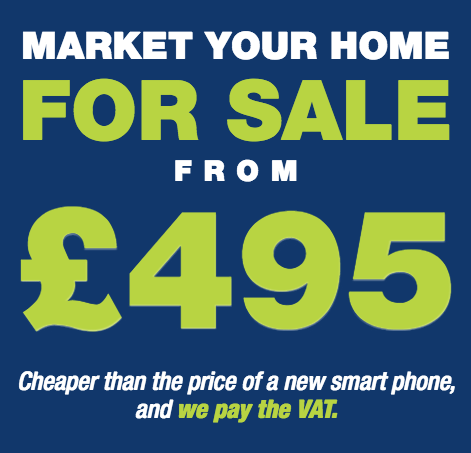 If you are considering selling your property, simply click here to get in touch. We will ensure that your property details market your property as effectively as possible. Right 1 Limited owns the website located at http://www.right1.biz (the "Website"). By accessing and using the Website you the user agree to be bound by these terms and conditions (the "Terms") which govern your access to and use of the Website. 3.1 All text, data, charts, tables, software, video, music, sound, graphics, photographs, illustrations, artwork, names, logos, trade marks, service marks and other material on the Website (the "Content") and all rights in it belongs to Right 1 Limited You may retrieve and display Content from the Website on a computer screen, print individual pages on paper (but not photocopy them) and store such pages in electronic form on disk (but not on any server or other storage device connected to a network) for your personal use. Content may not be copied, reproduced, republished, downloaded, posted, broadcast or transmitted in any other way. 6.1 The Website and Content is provided "AS IS" and on an "AS AVAILABLE" basis and Right 1 Limited does not guarantee the accuracy, timeliness, completeness, performance or fitness for a particular purpose of the Website or any Content. All implied warranties, including but not limited to the implied warranties of satisfactory quality, fitness for a particular purpose, non-infringement, compatibility, security and accuracy are excluded from these Terms to the extent that they may be excluded as a matter of law. 6.2 In no event will Right 1 Limited be liable for any loss including, without limitation, indirect or consequential loss, or any damages arising from loss of use, data or profits, whether in contract, tort or otherwise, arising out of or in connection with the use of this Website. 6.3 Right 1 Limited has tried to ensure that all the Content provided on the Website is correct at the time of publication. The Content is provided on an information basis only and should not be relied upon. No responsibility is accepted by or on behalf of Right 1 Limited for any errors, omissions, or misleading Content on the Website or on any websites to which the Website connects. 6.4 Right 1 Limited does not warrant that the Website or Content will be uninterrupted or error free, that any defects will be corrected, or that this Website or the server that makes it available are free of viruses or bugs. Right 1 Limited reserve the right, at its discretion, to make changes to any parts of the Website or these Terms. When these Terms are amended, Right 1 Limited will publish details of the amendments on the Website. Your continued use of the Website is taken as your agreement to be bound by these Terms as amended. If there is any conflict between these Terms and any other written agreement between you and Right 1 Limited then the latter shall prevail. Right 1 Limited will not be responsible for any breach of these Terms caused by circumstances beyond its reasonable control. Right 1 Limited is not responsible for the availability or content of any third party websites or material you access through this Website. This offer is only open to new customers, and is up to 50% off our standard documented fees on sales contracts and landlord agreements, and cannot be used with any other deals or offers, any discounts will be viod if a breach of the terms and conditions of the relevent contract occurs, including failure to pay the fees when due. This offer can be withdrawn for new contracts at any time. This offer is only open to new customers and is on management of properties for 12 months at 8% this will then revert to out standard documented fee on landlord agreements, this ends on the end of the 12th month after the tenancy is set up and the first payment from the tenant is recieved by right 1. This offer can be withdrawn for new contracts at any time. all entrants that have liked the Right 1 page previously will still be able to enter by just completing the other 2 elements of the criteria. the end date will be last day of the promotional month and the draw will take place on the 2nd working day of the following month.